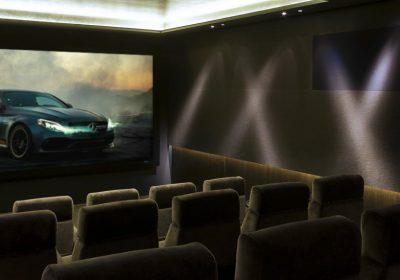 When Len Wallis Audio was asked to work with two of Sydney’s most respected architect’s and builders on a new build cinema, being Bruce Stafford Architects and Joe Fuda, Innovative Building we knew the team effort between ourselves and them would deliver the finest home theater results, and it did. 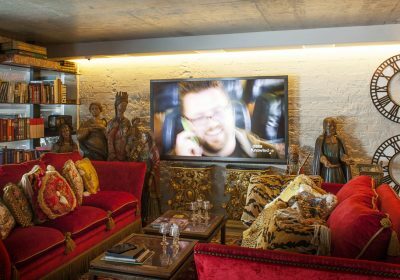 Our client wanted the very best in entertainment, automation & security with audio & video content able tyo delivered to anywhere at any time within the home. 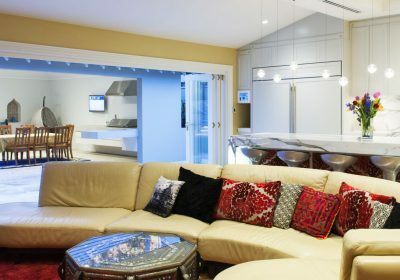 A whole-of-home solution integrating multiple devices and included door locks, window reed switches, floor heating & air-conditioning control. 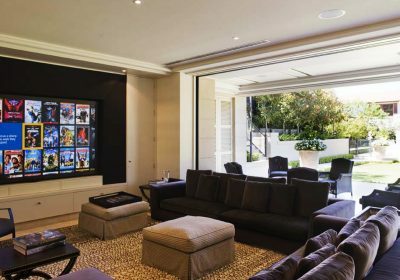 This remodeled 1930’s Federation home in Sydney features extensive automated integration of lighting, security, audio video and networking systems. This theatre was designed as part of a much larger ‘whole of house’ installation, which was two years in construction. 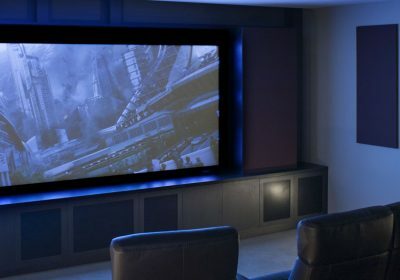 Paramount to the design was quality of both audio and vision to be achieved by a relatively modest budget. 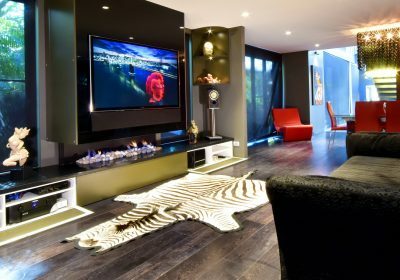 The client required a fully automated home including distributed audio and visual, networking, remote security, lighting control, access control, telephony and intercom. 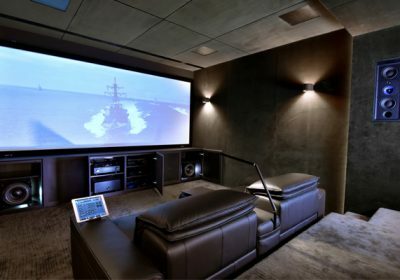 Spanning five floors the owners wanted to automate all electrical subsystems in the home to allow for simple and intuitive operation. This build utilities Savant control systems to allow the automation of multiple electrical subsystems.